Blocked nose? A sore throat? A headache? A warm cup of this lemon and ginger tea is going to warm you from inside out and keep all those common cold symptoms at bay! 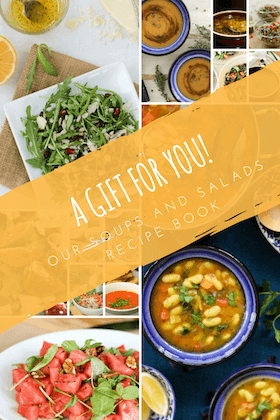 wellness and warmth in a cup! Two year ago, every winter would bring more than few occurrences of cold and cough in our home. Whether we took a medicine or not, it would last for at least a week to 10 days. If you’ve ever had a running nose, you would be nodding your head when I say, when it happens, it feels like the worst kind of sickness. 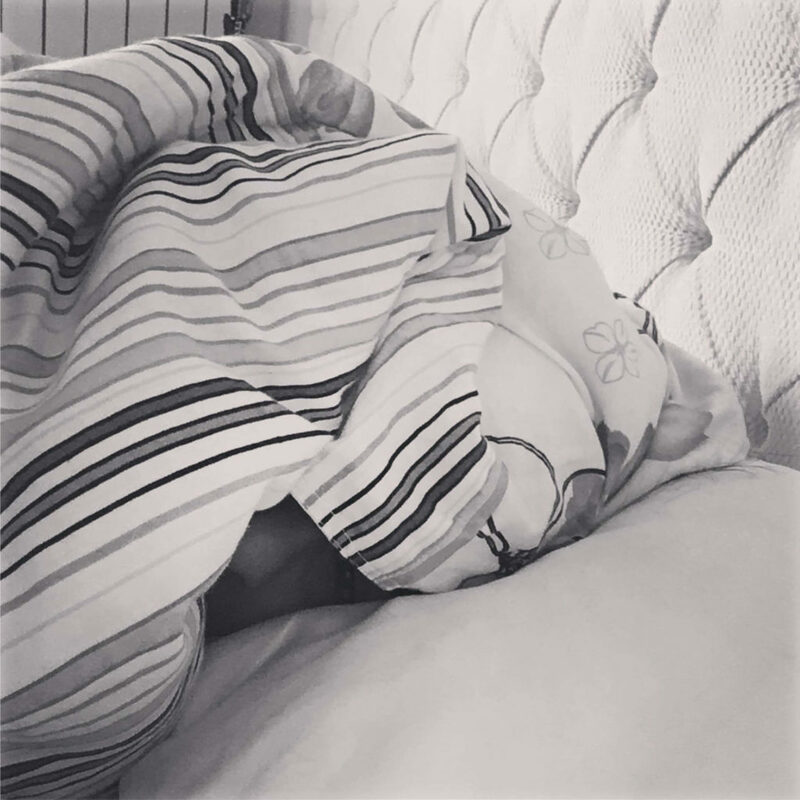 Nothing seems to be functioning when that onslaught of continuous sneezes comes and all you can do is just stay under a thick blanket. I’ve been there too often to know to finally understand that there is no real medicine for colds and all I can do is boost up my family’s immunity. Since last couple of years, every winter season, we start our day with this fresh lemon and ginger tea. There are no tea leaves in this ginger tea which is why we also call it the unchai tea :-). Technically it is an infusion but commonly most us refer to it as lemon and ginger tea. Serve it with a little honey if you like it sweet. 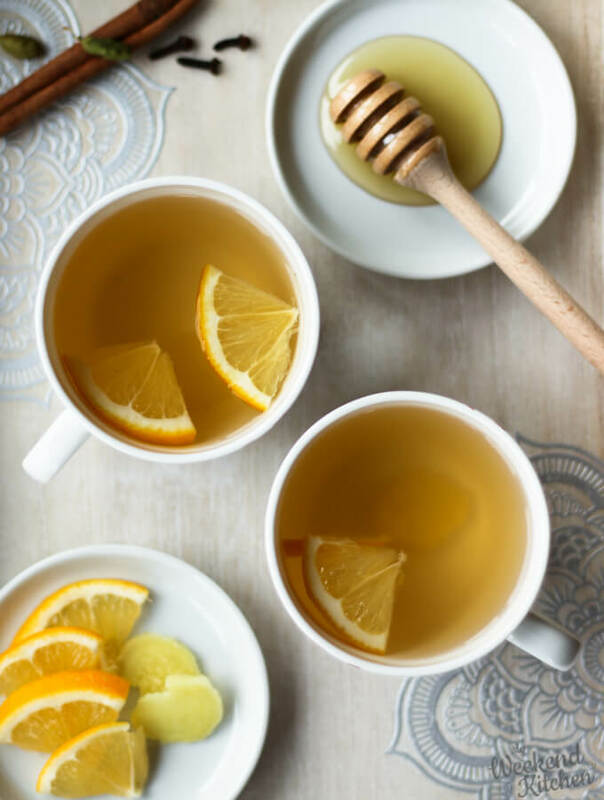 Honey, lemon, and ginger are traditional household remedies for cold and in this tea, their healing and soothing properties are further enhanced by adding a few winter spices like cloves, cinnamon, and cardamom. The trio of honey, lemon and ginger is very common as an infusion, but the [to-be-patented (joking!)] addition of spices makes it truly a winter warmer. These spices make a great addition to winter baking as well, as in this spiced banana bread recipe and you can also add them to your warm oatmeal breakfast bowl. Warming and soothing: The spices and ginger in the tea will warm you from inside. The ginger is soothing for the stomach, while the lemon and honey will relieve the sore and scratchy throat. The steam from the hot tea also opens up nose and brings so much relief! Helps boost immunity: lemon and ginger both are known as immunity boosters. Relieves aches and pain: The anti-inflammatory properties of ginger and the spices help reduce pain and aches. Stress Reducer: Fresh lemon, ginger tea is refreshing, alleviates mood and also reduces anxiety. Fresh ginger root is the best way to make your ginger tea. To boil ginger root for tea, add water in a pot, grate ginger root (with it’s peel) into the water, add any whole spices that you wish to add and bring to a boil. Strain into a pot or cups. Lemon and honey should be added after straining the tea and not boiled with water. In case you don’t have fresh ginger root, ground ginger can also be used but you might need to add slightly more quantity to get the ginger flavor. I normally make a big pot of the tea in the morning and after our two cups, I would fill it in a flask and drink through the day. It is light and refreshing and also helps me cut down caffeine as I don’t feel the urge for a regular tea or coffee when I am sipping on this caffeine-free, healthy ginger tea. 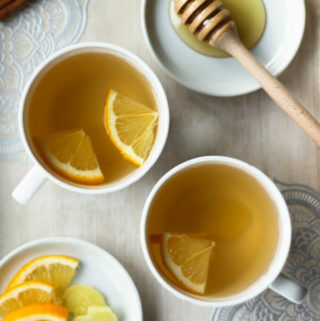 Start your day with this refreshing honey, lemon and ginger tea. 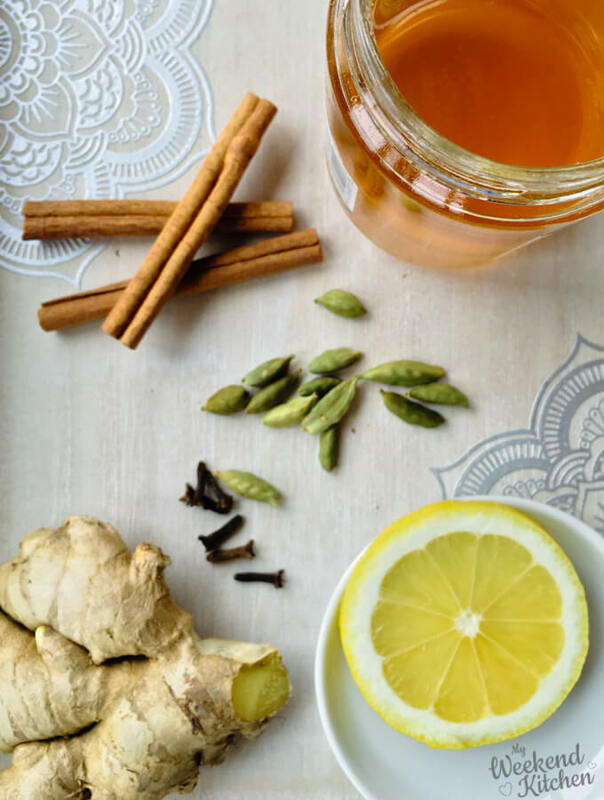 A traditional remedy for winter woes, this common infusion is further enhanced by winter spices like cloves, cardamom, and cinnamon. Add water to a pot and place medium heat. Directly grate the ginger into the water. Lightly pound the cinnamon, cardamom, and cloves in a mortar-pestle and add to the water. Bring to a boil, switch off the heat, cover and let it steep for 3-4 mins. Squeeze lemon juice into individual cups and add honey. Strain the ginger tea into the cups. Stir and enjoy. Add a few lemon slices to the tea for more intense flavor. Alternatively, prepare a big batch by adding honey and lemon juice in a larger jar, strain the ginger tea, stir and then serve individually or transfer to a flask for drinking during the day. For the best ginger kick, grate it using a regular grater. Slicing the ginger will subdue the flavor. You can add some slices of peeled ginger to the tea while serving. Biting on a warm ginger piece is also very comforting during colds, coughs, and also nausea. Nutritional info is approximate information for 1 serving of lemon and ginger tea without honey. Winter is here and it is not going anywhere anytime soon. You need to be 10 steps ahead of that scratchy throat, blocked nose, heavy head, body aches, slight shivers, and all the winter spoilers! This tea not only relieves cold symptoms, but it also helps prevent them. And a disclaimer, it’s not like you will never get a cold or fall sick if you drink this infusion every day but it will surely make them less probable and more bearable if you do fall sick.